Jason went black bear hunting this week past and successfully harvested a bear the following Friday. Put this simply it sounds like it was a piece of cake doesn’t it? How hard can it be to shoot a black bear in the spring hunt? The truth is it takes a great deal of effort, knowledge of the game, the terrain, patience and in the end fortune to successfully harvest a bear. Jason knows this and fortune smiled on him this spring. I played a supporting role in his successful bear hunt. I took his dog Nos along with me and my dog Hera for their daily run while he was away. I was very pleased when Jason sent me a photo of the bear he harvested and looked forward to hearing the details of the hunt when he returned. This entry was posted in Black bear hunting, Firearms, Guns and tagged ATV, Black bear, Bushnell Elite 6500 1.25-8x32 scope, hunting season, Jason Quinn, Lindsay, moose camp, Nosler M48 rifle, Nosler Trophy Grade cartridges in 225 grain Accubond, Ontario, sow on May 8, 2016 by geoffreyandmika. 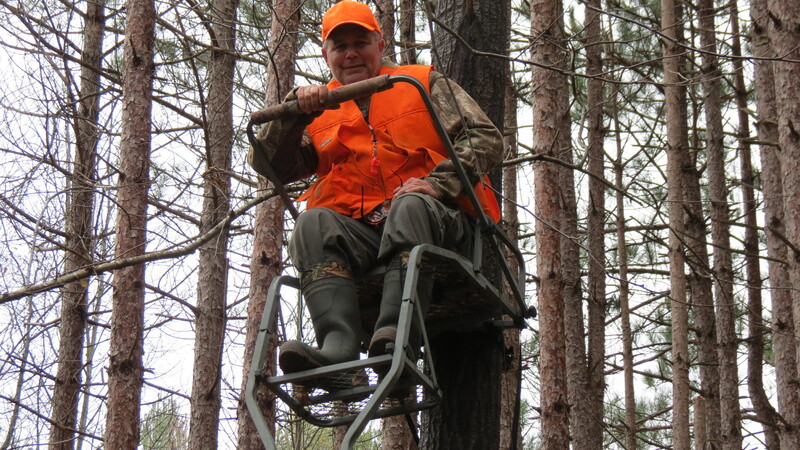 Seated in my ladder stand. Taking a moment to write these words before I make final preparations to go sit in my stand this afternoon. 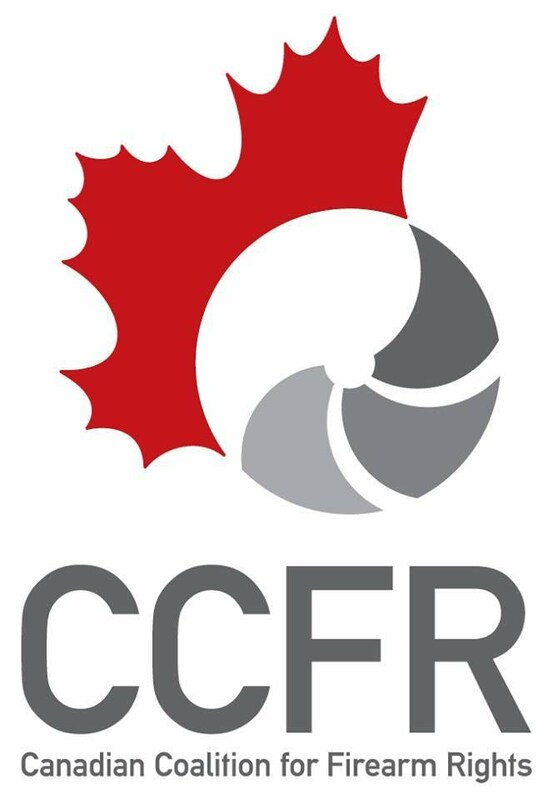 It is the opening of the rifle season for whitetail deer in Ontario. I am going to a property near Spencerville where my hunting buddies and I have our stands set up. Jason and I were out yesterday with our dogs, combining upland gunning, checking the trail cameras and relocating my stand. 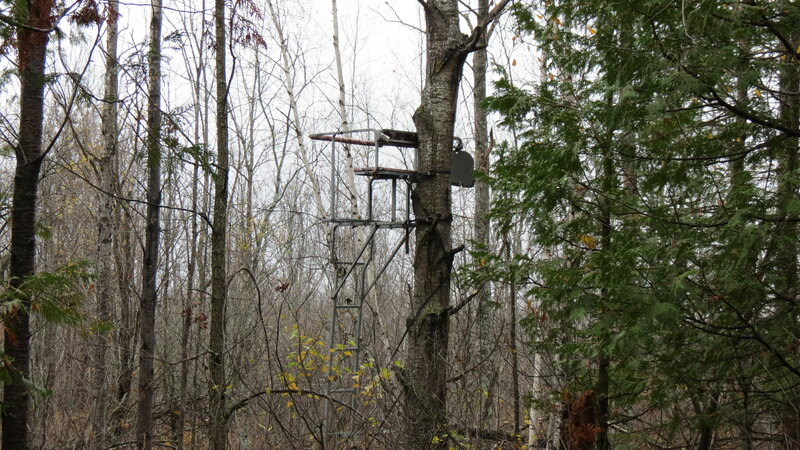 Until yesterday my stand was located overlooking a ridge on crown land adjacent to the property we hunt. We found a group of hunters operating a camp on the crown land and the last time I sat in my stand the previous season there was a hunter seated on the ground about 100 yards right in front of me. Even if a deer wandered into view on the ridge in front of me I could not very well shoot with another hunter down range. We moved the stand to the edge of the property, well away from where the hunters from the camp should be trying their luck. We swept through some decent grouse cover with the dogs on our way to the first two trail cameras, but turned up no birds. Once we reached the cameras, Jason put the chips into his camera and we viewed what the trail cameras caught since we last checked. There were deer, coyotes, raccoons, Val and Peter (the owners of the property) and most interestingly, two young black bears. We hunted the property starting in 2011 and to date took three deer (two bucks and a doe) in following seasons. Never have we seen a bear or sign bears were in the area. Jason has a bear tag this season, so maybe he will put a bear in the bag. Jason checking a trail camera. 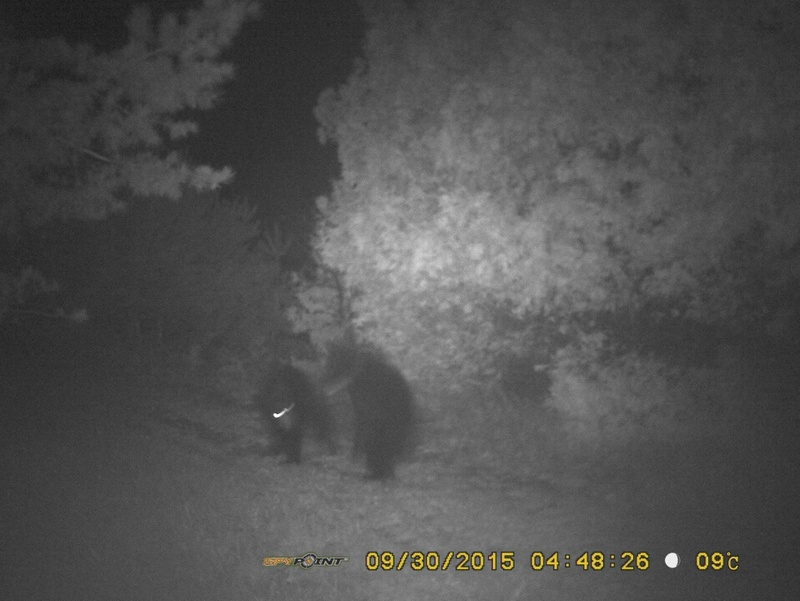 Black bears caught on trail camera. We decided to move the trail cameras to cover the area closer to where our stands are located. 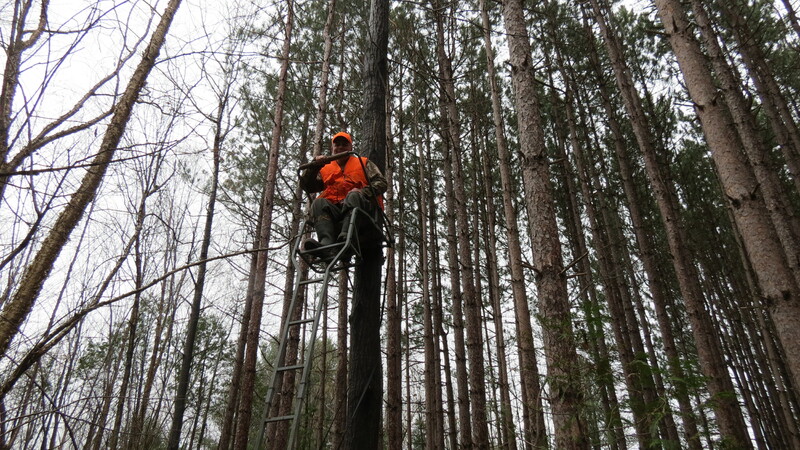 We continued the hunt, working our way to check on the deer stands and reset the trail cameras. I hoped we would get into some woodcock and maybe a snipe in the bog next to Rick’s stand. 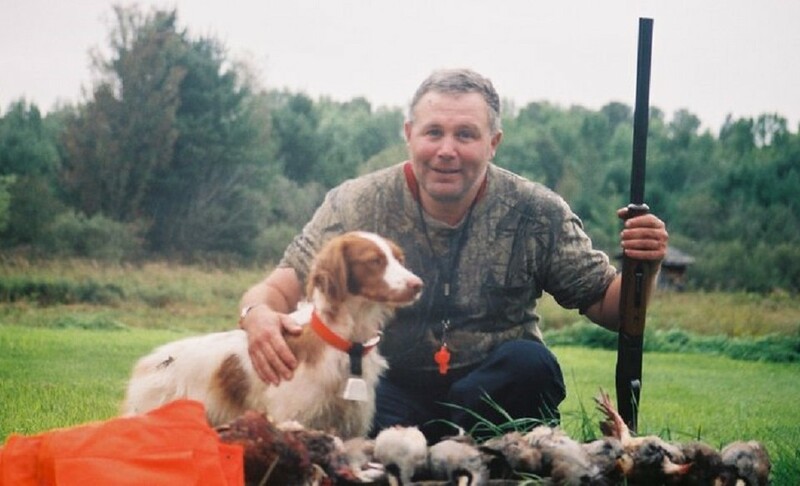 Rick is a neighbour of our host and hostess who hunts the property also. No birds were turned up, but as we approached Fran’s stand Jason noticed deer trails crossing in front of it. We placed one of the trail cameras on a tree overlooking one of the trails. We moved toward Jason’s stand and the dogs got birdy. As I approached Jason’s stand a grouse hopped up before taking flight. I called to Jason “grouse!” I did not shoot as Jason was in front of me in the direction the grouse flew. I heard two shots from his autoloader. He thought he winged it, but we searched with the dogs and turned up nothing. 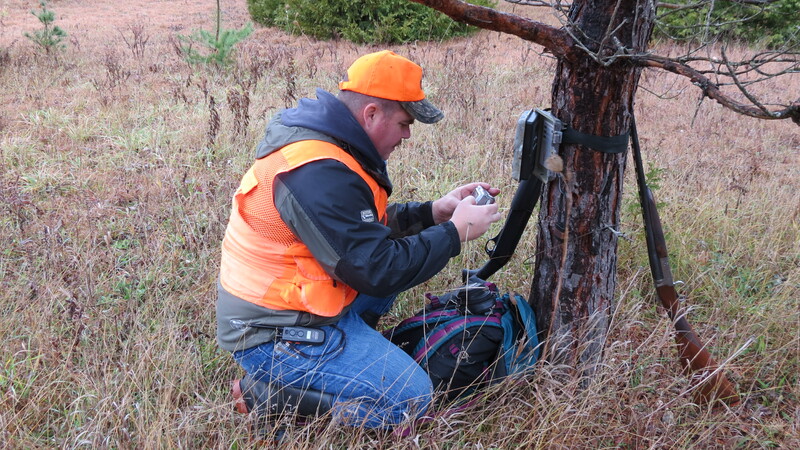 We made our way back to Jason’s stand and carefully placed a trail camera to watch the area. Jason took a six point buck from his stand two seasons ago. We concluded the hunt after moving my stand and resetting a trail camera to watch the area. Now we have our stands set to cover the hardwoods and cedars at the edge of the swamp the deer use to travel across the property. This season everyone has a doe tag except me so I hope a buck sees fit to amble past my stand before the season closes. Time and fortune will tell. This entry was posted in Big game hunting, White-tailed deer hunting and tagged Black bear, deer hunting, deer stand, doe tag, white-tailed deer on November 3, 2015 by geoffreyandmika.